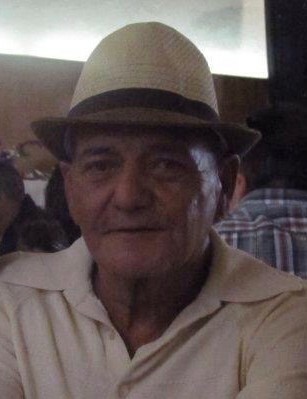 Ignacio "Nash" Montez, 67, a lifetime Puebloan passed away after a brief illness on April 10, 2019 in Denver, CO. He was born Dec. 7, 1951 to proud parents Jose Ignacio and Viola (Espinoza) Montez both preceded him in death. Ignacio was a hard worker and provider for his family. He always put them first. He was a Raiders fan, loved listening to oldies music and riding his Harley Davidson. Ignacio had a heart of gold, always willing to help anyone in need. He is survived by his loving wife, Linda; his children, Nash (Jamie) Montez, Lenny (Angelic) Montez; grandchildren, Cassandra (Alex) Montez-Welch, Alexis Montez, Gianni Montez, Zachary Montez; siblings, Joann Palma and Tim (Debbie) Montez; mother in law, Darlene Montoya; 4 legged friend, Ginger; several nieces, nephews, other relatives and friends who loved and will miss Ignacio. At his request no services.